Best Way to Advertise Tango—Ever! 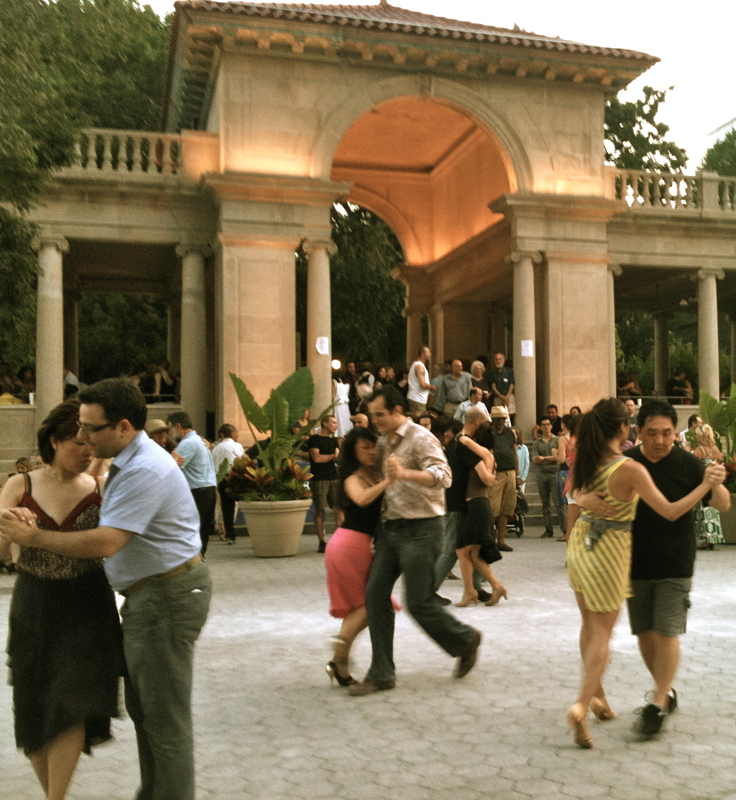 THIS evening I went dancing in Union Square. Tango, to be exact. You know that structure on the north side of the park that was covered in construction cloth all through winter? They lit it up, lined the inside walls with green metal park chairs, sprinkled baby powder on the flooring, and let the music do the rest. Women floated by in gauzy silk dresses, and the men, looking serious and frowny, steered them across the dance floor with purpose and the occasional heel tangle. Best of all, passersby stopped, stared, and stepped up to the dancers to watch. 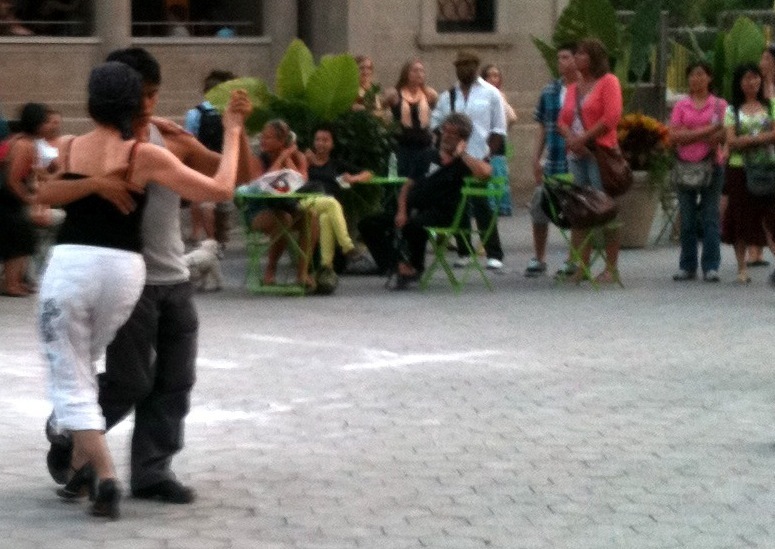 Outside, across from the Barnes & Noble, a tanguero gave a free beginner lesson to anyone with an itch in their feet. 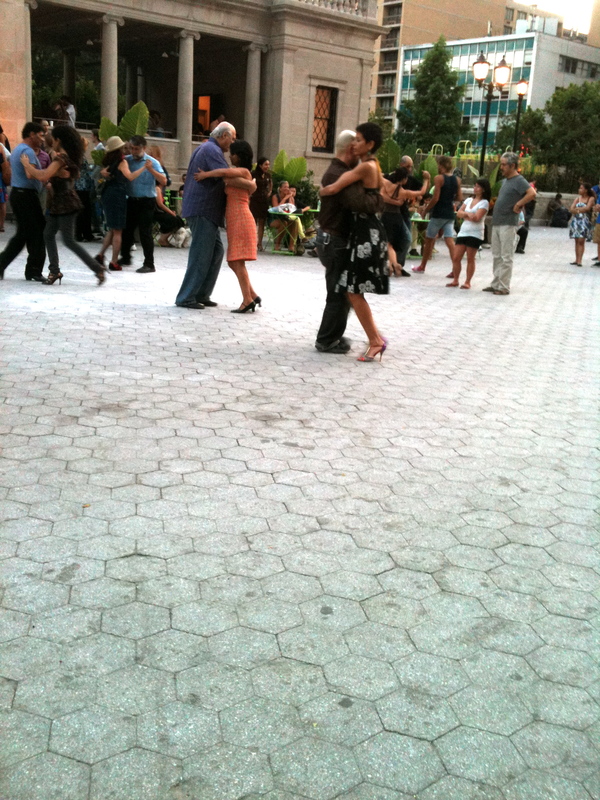 Here are some photos I took (with my phone) after I was too tired to tango anymore. 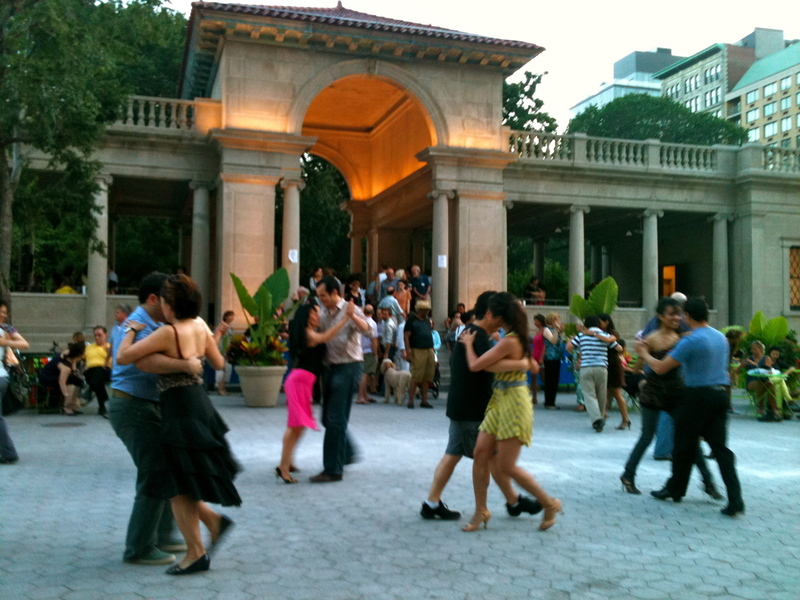 Tango in Union Square will take place every Sunday between 6 and 10 p.m. till September 26, with rotating DJs. Free.